Evergreen, eventual height to 120cm (4ft). A very tall evergreen fern resembling the Male Fern but with the bonus of a continual production of new fronds throughout the growing season! It surprisingly comes from Mexico but is very hardy (USDA zone 5). It is a strong and vigorous grower and worthy of a place in any garden. It prefers good soil in shade but it copes with drier conditions very well, becoming drought resistant once established. 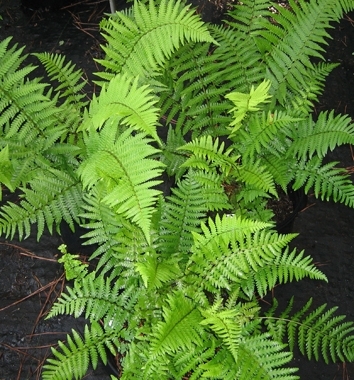 This fern really should be more readily available as it is a superb garden fern.